Home > Formal Lessons > Motivating Kids to Stick At It! Once children have been taking lessons on an instrument for a while' their enthusiasm can start to flag. It’s quite common, both among younger and older children. 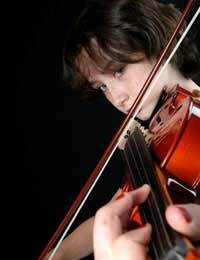 They have, for the most part, limited attention spans and after taking lessons and practicing, they can become bored with the process. You want them to continue. Short of a roaring argument, which doesn’t help anything, how do you motivate them, not just to keep going, but to really enjoy it? A lot depends on the age of your child. As we all know, many teenagers go through phases where it’s hard to communicate with them, let alone motivate them. So they require more work and more subtlety. It can be hard, for instance, to convince a 14 year old who’s suddenly discovered indie music that playing the saxophone is cool. But if you can tell him about some jazz sax players who epitomised cool, what they did for the music and play them some of it, that can often work as a boost, since it also offers a new direction for their playing. Alternatively, you might try showing the breadth of the instrument, how it works in many different styles. This takes research on your part, but if it does the trick, then it’s worthwhile. For someone who loves classical music, there’s music for every instrument, so search for some, and use it as motivation. One thing you should never do is take the “But you’ve been learning so long, why do you want to give up now?” approach. That just stands as an invitation to a disagreement where nobody wins. With younger children, boredom is the biggest problem. You can’t do much during their lessons, but you can help with the practice at home. The secret is to make it seem like fun, to make games of the practice time, so they enjoy it and look forward to it – but also so they learn. That takes work on your part. You’ll have to create new games and stimulation, whilst still keeping the focus on what they have to learn. You can make the exercises, like practicing scales, into games quite easily. Don’t be afraid of being a bit silly – laughter is always conducive to learning. Remember, although you want them to learn the instrument, it’s meant to be a pleasurable activity. It can be a little harder with set pieces they have to learn. However, you can help them through those, especially the more difficult areas, where frustration can set in. Always give plenty of encouragement, praise their successes, but never criticise their mistakes. Break the pieces into small chunks younger children can handle easily. That way, each time they master one they have a sense of achievement. Let them build on that, day by day, until they’ve completed the piece. As you help them assemble all the blocks, they’ll feel good about themselves. When they’re done, reward them. It doesn’t have to be anything big, but it reinforces the fact that you’re proud of what they’ve done and they’ll be eager to keep going.